JORMA TAPIO - flutes,bassclarinet,perc., ect. 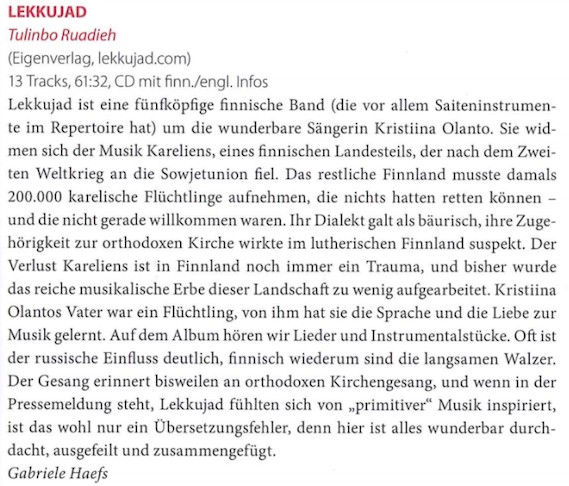 / Our first cd "Tulinbo ruadieh" was released in 2017. - in autumn 2018 we made a new cd of children´s music in karelian language. It was ordered by Karelian language Society and it will be on their webpages www.karjal.fi/.And the cd will be released winter 2019.